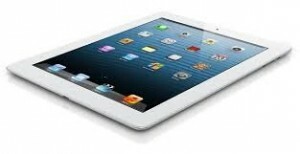 While there are too many tablets in the market right now, very few of them actually compare to Apple iPad. It is one of the best tablets, and it is very likely that you use it almost all the time. Being used all the time would also need you to be online all the time. The downside of that is that you would have to be unknown Internet connections for quite some time. That is why having a VPN service and using it with Apple iPad is so important. In this tutorial we will learn how to setup PPTP VPN for iPad. Here is a step by step guide for setting up PPTP connection in iPad. Network settings are hidden inside the settings and then inside General settings and finally inside network. Here you would find all the things you need to manipulate the network connection. In the network settings, you would find the option for the VPN. Tap this. If you have never created a VPN connection before, you would be asked directly to add a VPN connection. Click the Add VPN configuration and you would be done. The first thing you would be asked is which type of VPN you need to setup. Since, you need an L2TP type VPN, choose it. In the next stage, enter the details which come with the configuration email from your VPN service provider. You will be asked to enter details like what should be the name of the VPN, what is the address of the VPN server etc. There will also be a place to enter details like the username and password. Just before you click save, check the ‘send all traffic’. Doing so will make sure that whenever you connect to Internet, it should be done through the VPN you have just setup. And you are done! All you have to do for connecting to your VPN is to tap the connection which you have recently created and click connect. If you have some problems with connection, it might be because you have left the RSA encryption turned on. Tap it off, and don’t worry, VPN is pretty safe even without the encryption. VPN services are very important for those who surf the Internet a lot and are always on the move and using unknown connections.